If there is an easy to grow hydrangea, you'll find it in the Blue Jangles Hydrangea. From the improved Let's Dance Hydrangea Series, the Blue Jangles is a Proven Winner hydrangea that blooms in early summer and continues blooming onto late summer and early fall. A plant it and forget it plant, this blue flowering hydrangea is a heavy producer of mophead hydrangea flowers even if it's not pruned. The bloom color IS controlled by the soil pH. Altering the hydrangea color is so easy to do. To encourage blue hydrangea mophead blooms, add aluminum sulfate to the soil. Aluminum sulfate can be purchased at your local hardware store. My favorites are True Value and Ace Hardware Stores. Everyone is always so friendly and the people there know their products. Follow the directions on the label and you'll be able to enjoy breathtaking blue blooms all summer. Without the addition of Aluminum sulfate, you will enjoy the blooms in brilliant pink and none the less striking. Also, the Blue Jangles Hydrangea is a salt tolerant hydrangea so it grows happily in coastal gardens. 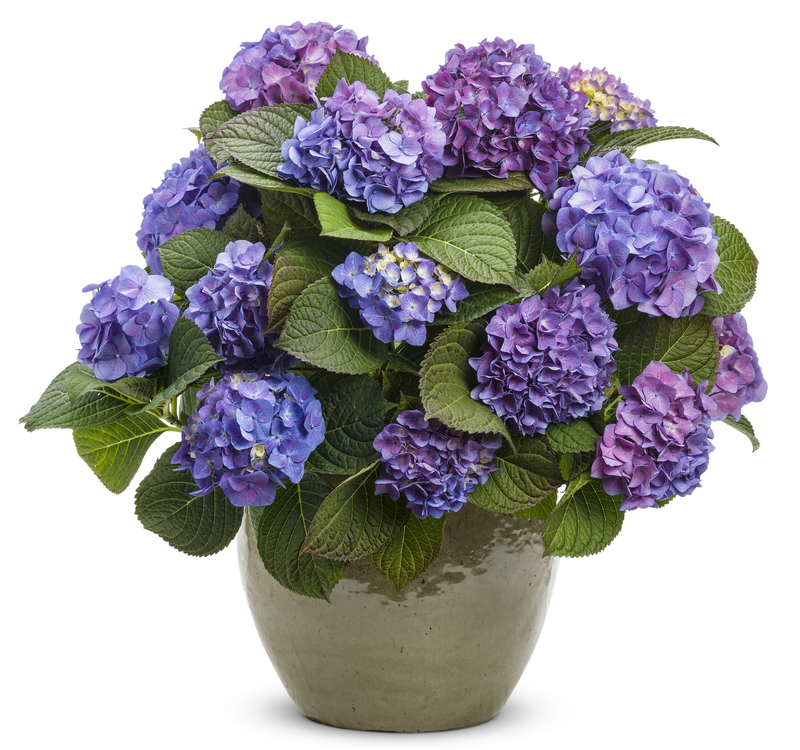 As with most hydrangeas, plant your Blue Jangles in moist, well-drained soil in full to part sun. Be sure to water regularly for the first 4 to 6 weeks in the ground so the plant can establish without the soil drying out. Let's Dance Blue Jangles Hydrangea ships in a 1 quart size pot. Orders shipping to CA and AZ will be bare rooted and root washed before being prepped for shipping.